Oh look, another blog about design and technology. You've invented a radio button that look unchecked when it's checked. This is not good. Seriously, I'm not just being snarky here. As someone who actually uses the web interface, this is a big usability pain. I was surprised that anyone, let alone “Today’s Apple”, would kill the iPhone SE so quickly. It was introduced in March 2016 and got a storage bump in March 2017. In the world of lesser-loved and neglected Apple products, it was practically brand new. Apple is all about keeping products around forever: the Mac mini from 2014, the Mac Pro from 2013, the iPad Mini from 2015, the non-retina MacBook Air from 2015. 3-plus years without an update or price drop is common now. To kill it with no warning just before the new 2018 iPhones came out was practically unprecedented. I love old predictions of the future. This article, written in 1992 — the dawn of the PDA era — is remarkably prescient. 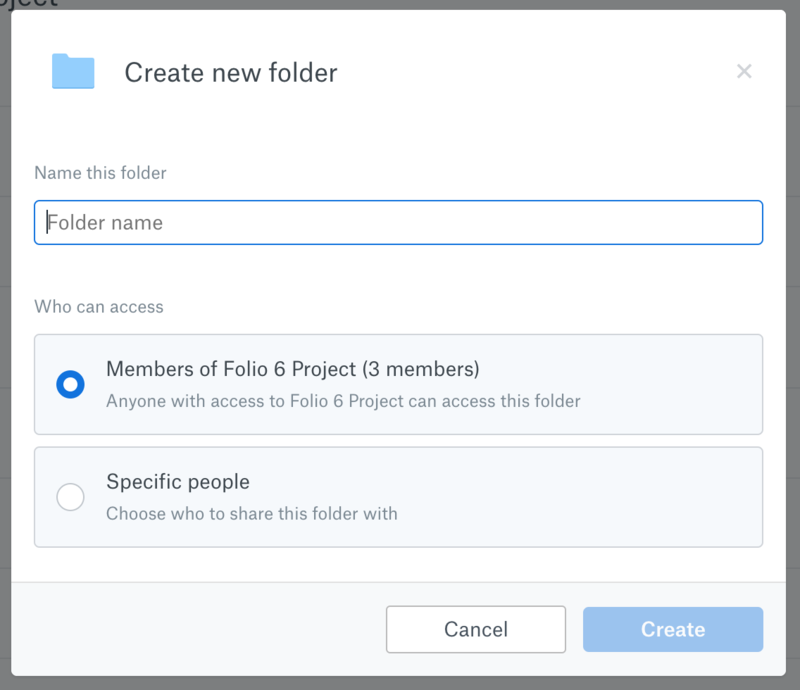 Once in the meeting, the executive could take notes on the device, and even order pizza for the group using a combination of custom electronic forms and wireless fax. After updating her schedule electronically and sending notes back to her office computer network, she could check restaurant and movie information, including critics' reviews. Back at the hotel, she could plug in the latest disk-based novel. References to disks and "wireless fax" are quaint, but they pretty much nailed it. You could change a few words in that paragraph and have a script for a smartphone ad. 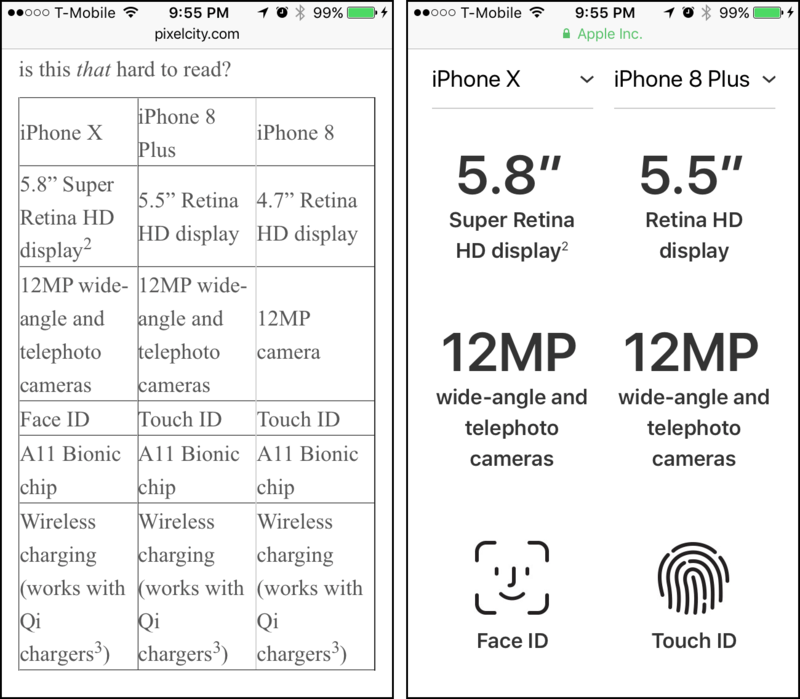 OK, some details: This is Apple’s new “Compare [iPhone] Models” page. This screenshot shows my browser set to 1280px wide, and as tall as it can be, on my 1920×1200px display. 95 pixels at the top of this image are used by the Mac OS* menu bar and Chrome’s title/tab bar, location bar, and bookmarks bar. The bottom 56 pixels are for my Dock. The remaining 1,049 vertical pixels are used for a grand total of SIX lines of text. The fact that it’s scaled down to less than half size here — but still readable — is a good indication that it’s not a particularly efficient use of space. You know what would help me compare specs? Being able to see lots of info on the screen at once. Maybe I’m not just comparing it all item-by-item. Maybe I want to factor in several things at once. Maybe I’d like to see the weight and the battery life at the same time. Here is the same info, coming in at 250 pixels tall on my desktop’s screen — just one quarter of the original height. Tell me, is this that hard to read? 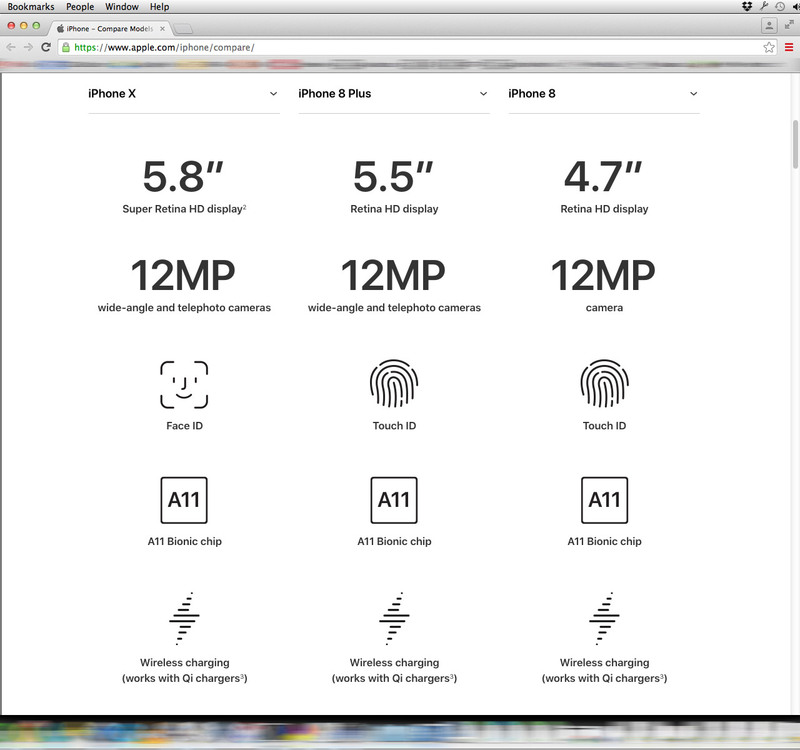 Also: that table shows up in its entirety on the 4" screen of my iPhone 5S. The Apple page? Just three rows of icons — and just two columns. * Mac OS X 10.8, so yes, it’s Mac OS, not macOS. There are a million articles online about design. Here are a couple of my favorites to get you started. Design, for my purposes, is about making tradeoffs. Let’s design a trashcan for a city street corner, shall we? Let me give you some design constraints. It has to be pretty light, because the dustboys, er, sanitation engineers come by and they have to pick it up to dump the trash in the garbage truck. Oh, and it has to be heavy, or it will blow away in the wind or get knocked over... It has to be really big. People throw away a lot of trash throughout the day and at a busy intersection if you don’t make it big enough, it overflows and garbage goes everywhere... Oh, also, it needs to be pretty small, because otherwise it’s going to take up room on the sidewalk... Ok, light, heavy, big, and small. What else. It should be closed on the top, so rubbish doesn’t fly away in the wind. It should be open on the top, so it’s easy to throw things away... Notice a trend? When you’re designing something, you often have a lot of conflicting constraints. In fact, that’s a key part of design: resolving all of these conflicting goals. Tabbed dialogs are a great affordance. It’s really obvious from this picture that you have six tabs; it’s really obvious which tab you’re on, and it’s really obvious how to switch to a different tab. When Microsoft first usability tested the tabbed dialog interface, usability went up from about 30% to 100%. Literally every single testee was able to figure out the tabbed dialogs. The interface design must assure that a user can never inadvertently fire the ejector seat when all he wants to do is make some minor adjustment to the program. Every few days I accidentally click Report Spam when I really meant to click Archive. Vegas.com has a great logo. That's all. I just love this. The stylized 'V' is also a downward-pointing arrow, indicating 'right here'. Perfect. Log in, log out, login, logout. "Log in" and "log out" are verbs. "Use this form to log in. Click this icon to log out." "Login" and "logout" are adjectives. "Visit the login screen. The logout process is complete." They can also be nouns. "Login was successful. So was logout." I'm just posting this because I'm tired of seeing things like "Click here to login" everywhere. "Sign up" is the same way — you can sign up for a meeting on the signup page.